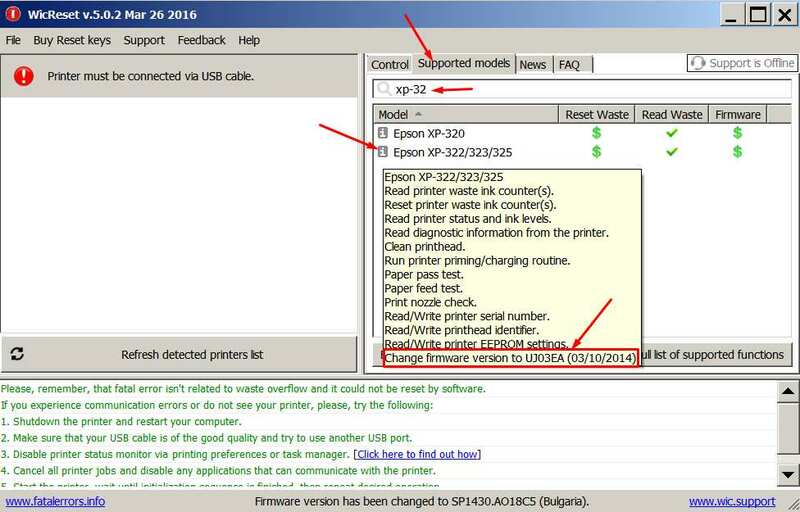 Check printers firmware current version. 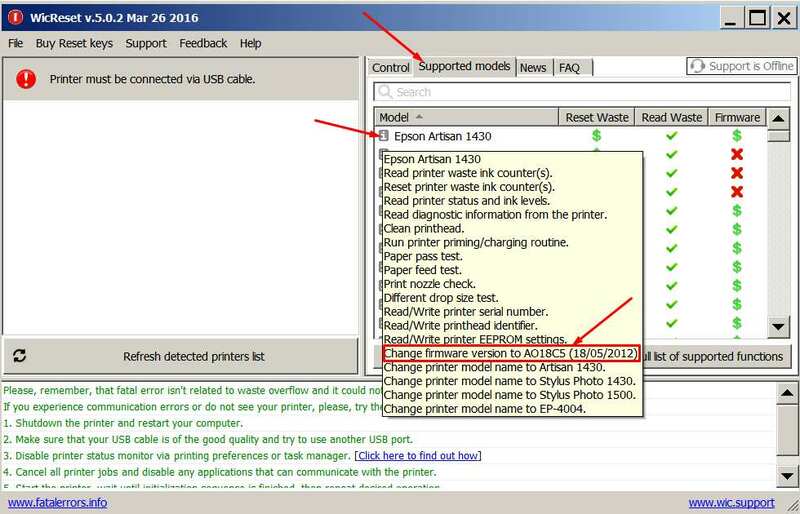 You can check current version of firmware in Your printer very easy. Connect the printer by USB cable. Run WIC utility. 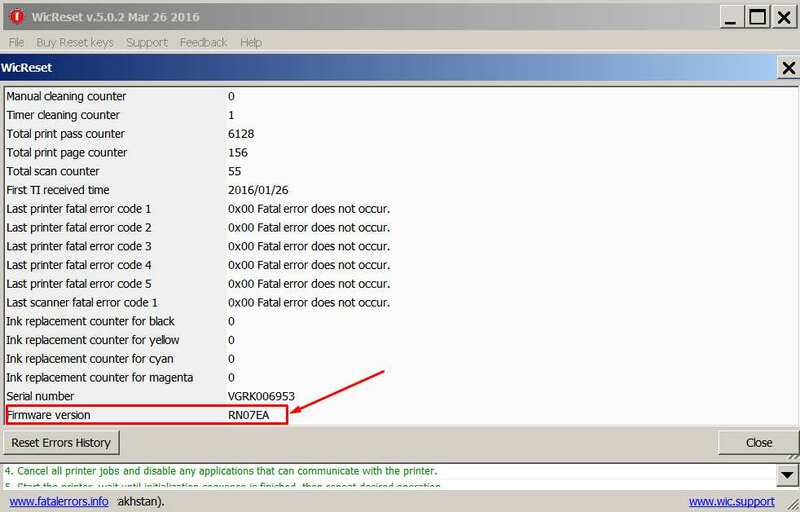 Click on REPORT button and You’ll get Your printers current firmware version at the bottom of the report. Check available to downgrade firmware version. Run the WIC Utility. Go to Supported Models tab. Put your mouse on letter at the left of printer model You need. You will be able to see all available functiona You can do with this printer model. Also You can see Firmware Version available for downgrading. 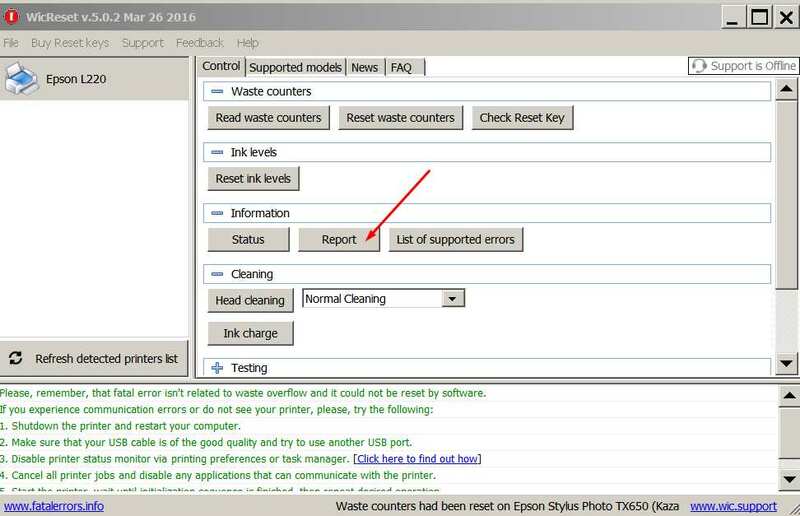 If available in WIC firmware version is older then current version in Your printer – You can make firmware downgrade to solve the problem when Ink Cartridges cant be recognized by printer because its firmware has been updated from Epson server.